Your Company’s Logo will Stand Out. Does your company have a great logo that you want people to see? Your logo will have more visual appeal if placed on top of your commercial awning. Some companies that have stood out often have red, green, or even yellow awnings. Striped awnings are attention grabbers as well. Take the time in researching the right awning fabric for you as well. You want to make sure that your choice is durable and will stand the test of time just like your business. 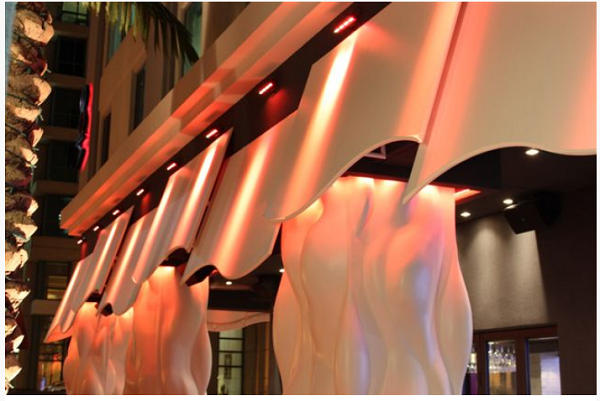 One purpose of an awning is to cool and shade your building. If your structure doesn’t produce much heat, then you can revel in turning down the air conditioner and saving money in energy costs. Also, a temperature-neutral environment will be more comfortable for customers and employees. If you own a company that has outside seating, then employees and customers alike will be happy to enjoy the sun while being provided with shade. Awnings can be truly unique and special. Instead of trying to think of an innovative sign, maybe an awning can be an idea instead. An awning adds personality to a business. Not only does it add aesthetic appeal but helps with marketing. People usually identify businesses with their signs, logos, and awnings. McDonald’s is globally known for its yellow, striped awnings. How will your company be remembered?